Visitors to Drum Castle are being asked to vote for their favourite tote bag designs, which have been inspired by the historic building and created by Fashion and Textile Design students at Gray’s School of Art. 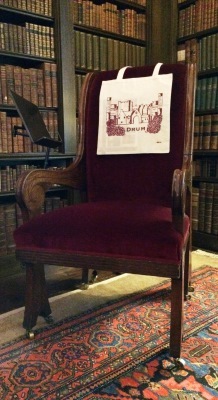 The live project has seen 36 first year students each produce their own unique design, with the cotton shopping bags now on display at the castle. Visitors to the popular Aberdeenshire attraction are being asked to vote for their favourite design, with the most popular then potentially being produced and sold in the castle shop. Drum is currently home to an outstanding collection of contemporary art on loan from the city’s Aberdeen Art Gallery while the gallery undergoes a major refurbishment.